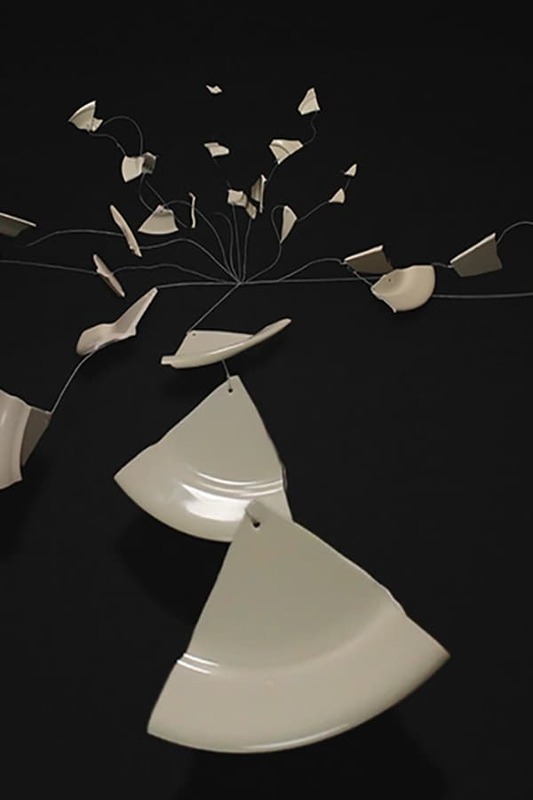 From all directions gravity pulls on the shards of a breaking dinner plate. After stretching to their outer limits, elastic strings help the pieces move back towards their starting point. The pieces collectively form a self-reflecting structure, while at the same time expressing their individual qualities through movement, position and sound.